Air Conditioning Repairs | AllTech Services, Inc.
Air Conditioner Troubleshooting: Is Your System Short-Cycling? 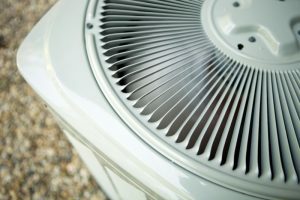 We haven’t quite started enjoying the cooler temperatures that other parts of the country have, and as such you are most likely still running your air conditioner on a regular basis. Although the official start of fall is just over a week away and we’ll see a temperature decline soon enough, it’s important to be aware of our AC systems and make sure they have no problems as we near the end of the cooling season. There are a few problems that can negatively affect your air conditioning system. Short-cycling is one of these issues: this is when the AC compressor runs in short bursts, turning on and off rapidly. If this starts to happen, contact our team as soon as you can so that we can see what services might be necessary. In the meantime, keep reading to learn more about this phenomenon and why it happens. Posted in Air Conditioning | Comments Off on Air Conditioner Troubleshooting: Is Your System Short-Cycling?